Some tools may end up being more useful than others, and some may seem super exciting and fade into oblivion within a few weeks. But there is one tool we use in our office that would be a hard one to find a replacement for: Google Docs. I'm sure most of you have heard of Google Docs at this point, if your not using it already, or at least something similar. If you get sick or your car breaks down, but you still need to complete a project or access some information, with a tool like Google Docs you can do it from the comfort of your own laptop, a friend's laptop, or even a public computer. It doesn't matter where you go, as long as you have some kind of internet it's not a problem. This also makes working from home super simple. By making a habit of always making a Google Doc in favor of a Word Document or some other word processor, then you will never find yourself unable to access a document (unless your in the middle of no where with no access to internet whatsoever). We do a lot of creative and fun projects in our office. And a lot of times they require a second opinion, or a multiple step process that needs the touch of someone else in the office's expertise. Google Docs is perfect for this. If you want some feedback on a project plan, you can simply share your document with whoever you want so that they are able to simply open the document and make some comments directly into the document, or even use the text to work on their end of the project. Or, if you both happen to be in the office, you can just have a discussion about the project while both looking at the same exact thing. This is also a great way to share information with a client. If your not sure you are both on the same page, or want some input on what you've already created, they can quickly and simply access the document and begin looking over what you've created. This also means that virtual meetings are simpler, which is especially useful if you have an extremely busy client, or one who is not always in town. By clicking the icon of the user at the top, right of the page who is also viewing the document, you will be automatically directed to where the other user is within the document. This is great for lengthy documents, or for people who like to skip around a lot! Sometimes you compile a wonderful list of resources that are extremely helpful and useful to have. And then a new employee comes along with a desire to do some research and have some great, trusted resources. Well guess what? With a few clicks they can be browsing through your pre-existing list. This goes for just about any documentation of a work process. Trying to get someone else to perform a task with several steps? Well, if you've documented how to complete that task, all you have to do is share that document with them. This makes on-boarding new hires or interns a lot simpler. Instead of digging through weeks of emails to find a Word attachment, all they have to do is go to their Google Drive and look through their shared documents, or simply search all documents with some keywords. Even if a user does not have a Google email, there are other options for them to be able to view or make edits to the Google Doc. Check out some of these sharing or editing options here. 4. Compatible Across the Board. While creating a Google Doc for a checklist of action items that need to be completed is definitely a possibility, it is not always the most convenient and succinct way of handling that sort of information. Instead, using task managers like Basecamp can be a great alternative. Basecamp allows you to create to-do's assigned to individuals, create discussion threads, forward emails, and so on. 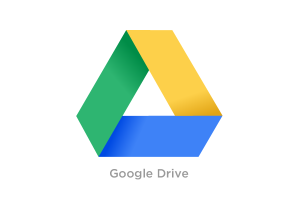 It also allows you to attach Google Docs automatically from your Google Drive, just be sure that you have selected the right permissions for everyone to view the document that needs to. Why Bring Google Docs Up Now? 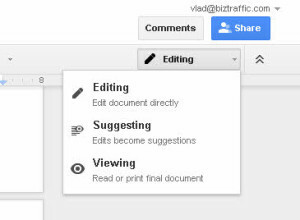 Because Google Doc's just added a new way to interact with the documents! In the past you have been able to see edits that other users make, so you can correct them. You can also comment on portions of the text and even tag people in the comments. But this new feature is even better. This image displays the new selection you can make at the top, right hand corner of your Google doc. Typically it will default to "editing" mode, which is what you will use when creating a document. All edits will appear in black text by default. But, let's say you want to make suggestions on a coworkers copy, but your not sure they are really the best suggestions, and you don't want to alter all of their work without their approval first. Now you can select "suggesting" mode to do just this. Suggestions will appear in the color that represents the user who made the suggestions. As you can see in the image below, you can suggest to both add and delete portions of text, and this automatically makes a comment box on the side of the document with my profile and name, along with the action I have suggested. If you place your mouse over the comments it will give you two options: a check mark, or an X. If you approve of the change you can check it to automatically make it, if you disapprove, just select the X. The final option allows you to read or print the document without being able to make any edits or suggestions to the page. It simply allows you to view the document as a print version would appear without any distractions the editing or suggesting modes might have to offer. This is a great selection if you want to take a step back from your work, and see it as a professional document. While Google Docs may not be the best system for every company's needs, it definitely does have some great features and is a widely used resource in both the business world, the academic world, and even for personal use. And with the continued improvements to make the functionality increasingly better, it fits right in with what companies need: ever increasing ways to improve office productivity.